BUKIT LANJAN: Is Proton waiting to see the coffin before shedding tears? Both Germany and the UK have set a target to have all Internal Combustion Engine (ICE) or fossil-powered cars off the roads by 2030. Now, the US has also initiated a quantum push to speed up the deployment of self-driving cars in a bid to reduce fatal road crashes. And, on Sept 5 in the US, Nissan Motor Co unveiled the 2018 Leaf, its first production vehicle that will steer and stop by itself-at least every once in a while. “The automobile manufacturers and the industry are forging ahead furiously with hi-technology advancement. But, is Malaysia even trying to move in tandem with such technology advancements?” Gerakan Deputy Speaker Syed Abdul Razak Alsagiff said. “The answer is quite obvious to Malaysians, isn’t it?” he asked. Look at the continuous saga of the China’s Zhejiang Geely Holding Group Co Ltd (Geely)’s buy into Proton. China is the world leader in electric car technology and manufacturing. “Of course we hope for Geely to turn Proton around to become a global and sustainable automobile player. “We should be concerned with getting the right people with the right expertise to do just that, and transform Proton. “But, what are we seeing now? We are more concerned with irrelevant issues like who heads Proton? Malaysian or a mainland Chinese? Instead of how to forward Proton into hi-tech manufacturing and success. “We should be more concerned with having the right people and the right expertise to drive Proton ahead with both business and new technology plans,” he added. Syed Razak, who is Gerakan’s nominee to contest N.37 Bukit Lanjan in the coming 14th General Election (GE14), said DRB-HICOM Bhd and Proton Holdings Bhd (Proton) must get their priorities right with Geely by changing their mindset and attitude. “Don’t let unconstructive and irrelevant criticisms dictate or distract your core targets and plans. Bu Jian Guan Cai Bu Liu Lei (You only start to shed tears when you see the coffin!)" 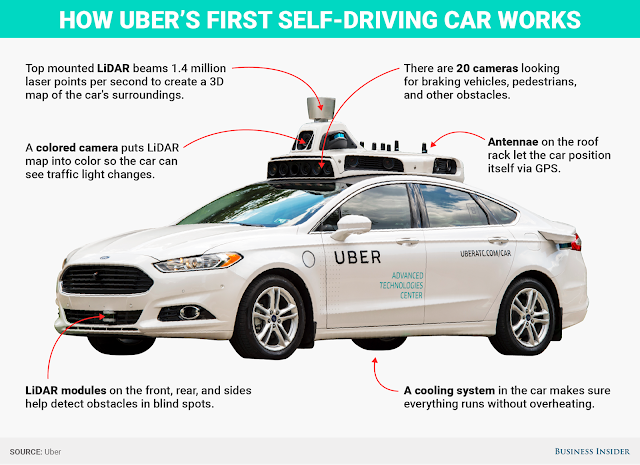 WASHINGTON: The US House on Wednesday unanimously approved a sweeping proposal to speed the deployment of self-driving cars without human controls by putting federal regulators in the driver's seat and barring states from blocking autonomous vehicles. The House measure, the first significant federal legislation aimed at speeding self-driving cars to market, would allow automakers to obtain exemptions to deploy up to 25,000 vehicles without meeting existing auto safety standards in the first year. The cap would rise over three years to 100,000 vehicles annually. Representative Doris Matsui said the bill "puts us on a path towards innovation which, up until recently, seemed unimaginable." Automakers, business groups, and advocates for the blind praised the House measure. But one consumer group said the House bill did not do enough to ensure self-driving cars would be safe. Under the bill, manufacturers seeking exemptions must demonstrate self-driving cars are at least as safe as existing vehicles. States could still set rules on registration, licensing, liability, insurance and safety inspections, but not performance standards. 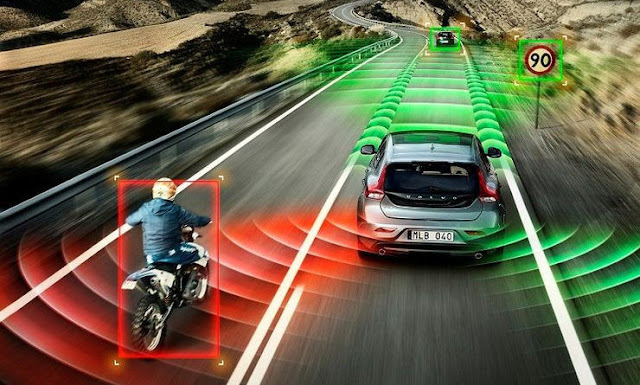 Automakers would have to submit safety assessment reports to regulators, but the bill would not require pre-market approval of advanced vehicle technologies. The measure now goes to the Senate, where a bipartisan group of lawmakers has been working on similar legislation. Automakers and technology companies, including General Motors Co and Alphabet Inc's self-driving unit Waymo, hope to begin deploying vehicles around 2020. They have been pushing for new federal rules making it easier to deploy self-driving technology, but some consumer groups have sought additional safeguards. Current federal rules bar self-driving cars without human controls on US roads. States have issued a variety of different rules in the absence of clear federal guidance, and automakers have complained that California's rules are too restrictive. US senators might circulate their draft legislation this week. One sticking point is how to handle commercial self-driving trucks, which are not included in the House measure. The Senate version may also soften the provisions preempting state rules. Volkswagen AG and other automakers have been lobbying Congress to act, often bringing test vehicles to Capitol Hill so lawmakers can test out driverless cars. Advocates hope self-driving cars can help reduce US road deaths, which rose 7.7% in 2015, the highest annual jump since 1966. The US National Highway Traffic Safety Administration said in a 2014 study that US traffic crashes cost society US$836bil (RM3.5tril) a year in economic loss, with human error behind 94% of crashes. Consumer advocates want to give the National Highway Traffic Safety Administration quicker access to crash data and more funding to oversee self-driving cars. "The autonomous vehicle bill just passed by the House leaves a wild west without adequate safety protections for consumers. It pre-empts any state safety standards, but there are none at the national level," the Consumer Watchdog group said in a statement. The policy group Transportation for America said cities are worried the House "legislation will preempt local authorities from managing their own streets and fail to give local leaders the confidence that manufacturers and operators will be aware of and follow local laws and regulations." On Tuesday, Reuters reported that US Transportation Secretary Elaine Chao will unveil revised self-driving guidelines next Tuesday in Ann Arbor, Michigan, citing sources, and the department confirmed plans to unveil the new guidelines next week. The House bill would require compliance with the guidelines. GM said in a statement that "while more work is needed," the House measure is "good progress toward a law that will facilitate realisation of the safety, mobility, and environmental benefits of self-driving vehicles." On Sept 5 in the US, Nissan Motor Co will pull the cover off the 2018 Leaf, its first production vehicle that will steer and stop by itself-at least every once in a while. This week, Nissan loaded its version of this hot tech onto some of its SUVs and brought them to New York for a test drive, the perfect place to put a new phase of autonomous technology through its paces. Driving in Manhattan requires a modicum of Zen, something most New Yorkers don’t have – at least not when they’re in a car. Anything to help commuters tune out a little, to tick up the chill a few notches, is helpful for everyone travelling along the city’s congested arteries. That’s precisely what Nissan’s new system, dubbed ProPilot Assist, is supposed to do. When activated by the push of a button and the setting of cruise-control speed, it keeps the car in the centre of a lane, steering through corners. At the same time, it maintains a safe distance to the vehicle ahead and will brake all the way to a stop, the default state of most Big Apple drives. It even resumes driving without a prompt, provided that the automobile has only been still for less than three seconds. “Basically, we’re focused on fatigue reduction,” explained Andy Christensen, senior manager of Nissan’s Intelligent Transportation Systems Research. This suite of robot pilots is not, Christensen insisted, a self-driving system. The steering wheel senses feedback (not touch); if there isn’t evidence of any physical tug, ProPilot escalates a series of warnings, including audio chimes and brake checks. Eventually, the vehicle will turn on its hazard lights and come to a stop mid-lane. Given that humans are now able to land space-scraping rockets back on the ground as if they were lawn darts, the new Leaf isn’t exactly vanguard stuff. Plenty of vehicles on the market do what Nissan’s new system offers – if you can afford them, that is. The Leaf, however, is intended to fill the autonomous-capabilities gap that exists for machines that cost less than US$40,000 (RM170,812) or so. What Nissan’s driving robots deliver is a passable impression of a Mercedes-Benz (or an Audi, Tesla, or Volvo). “Passable,” though, is the key word: Nissan’s package isn’t infallible. For one thing, it requires clear lane markers on each side to steer properly. On our 40-minute jaunt from Midtown Manhattan to its northern peak, painted lines were sporadic and the system often simply shut off, signalling its snooze with a chime. Meanwhile, it’s designed to steer only up to a certain level of aggressiveness (the parameters set by forces of gravity). Coming into a series of twists a little bit hot, the robots couldn’t keep us centred, even though the car was still plenty capable. The problem is that the sensors and cameras that allow for a more seamless autonomous drive tend to be expensive, and thus remain squarely in the realm of luxury cars. Nissan’s ProPilot uses just one camera to read the lane margins and one radar unit to measure distance to the vehicle in front. “We’re trying to make it accessible and attainable,” said Brittany Tessmer, senior engineer on the project. 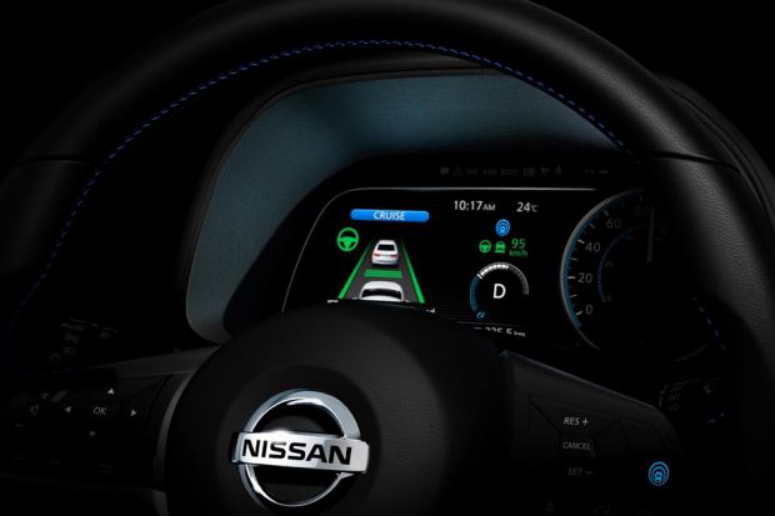 In the grey area between analogue driving and full autonomy, Nissan’s new system represents a very light shade, which to me is the biggest drawback for it and all the other systems like it. It’s only a mild iteration beyond adaptive cruise control, which comes standard on 25% of current vehicles, and lane departure warnings, which are available in one-third, according to Edmunds.com. When the driver is alert, the nanny steering and braking can be annoying, particularly if one likes to drift toward the inside of sweeping highway curves. If the driver isn’t alert, it’s even more grating. To be sure, that needling is necessary, but I’ve found myself wondering more than once: Is this an autonomous step too small to be worth taking? Why not just wait to roll out something more fully cooked? The company says the first priority for DRB-HICOM Bhd and Zhejiang Geely Holding Group at this time is to formulate a solid business plan for the national car maker. KUALA LUMPUR: DRB-HICOM Bhd has stressed that its priority now is to formulate a business plan for the national car maker, quashing market talk of changes of key personnel at Proton Holdings Bhd (Proton). “We refer to the various news reports on changes of key personnel at Proton. “We wish to clarify that DRB-HICOM Bhd and Zhejiang Geely Holding Group Co Ltd (Geely) are currently still in the process of finalising details of the transaction (recent acquisition),” it said in a statement on Wednesday. 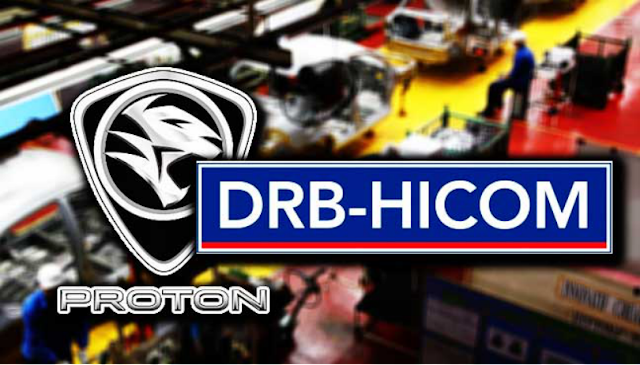 DRB-HICOM said the first priority for both parties at this time, as part of the agreed items of the definitive agreement signed on June 23, was to formulate a solid business plan that can ensure Proton would be on a solid footing as it embarked on a new journey. It, however, added that any material announcement in this regard, if any, will be made in due course. Geely purchased a 49.9% stake in Proton. It also acquired a majority share of 51% of Lotus Advance Technologies Sdn Bhd from Proton. At the time of the acquisition, Geely’s Chairperson Li Shufu said the company’s priority was to turn around ailing Proton. Several local dailies reported that Li Chunrong, who was recruited by Geely last month, was rumoured to become Proton’s next Chief Executive Officer. Talk is rife after China’s state news agency, Xinhua, reported that Li Chunrong, who was Deputy General Manager at Dongfeng Honda Engine Co, was picked by Geely to oversee operations in Proton. - Bernama/FMT"